Scene from "The Martian," which was released in October 2015. 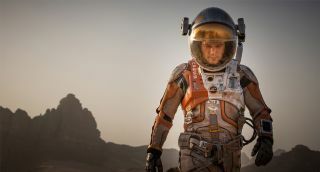 If you loved the movie "The Martian," here's your chance to show it. Raw Science will also host its second annual film festival early next month, to celebrate the best of science-oriented movies of 2015. The festival, which features fiction and non-fiction films created by a wide range of auteurs from students to Hollywood veterans, will take place Dec. 4 and Dec. 5 at the USC Institute of Creative Technologies in Playa Vista, California.